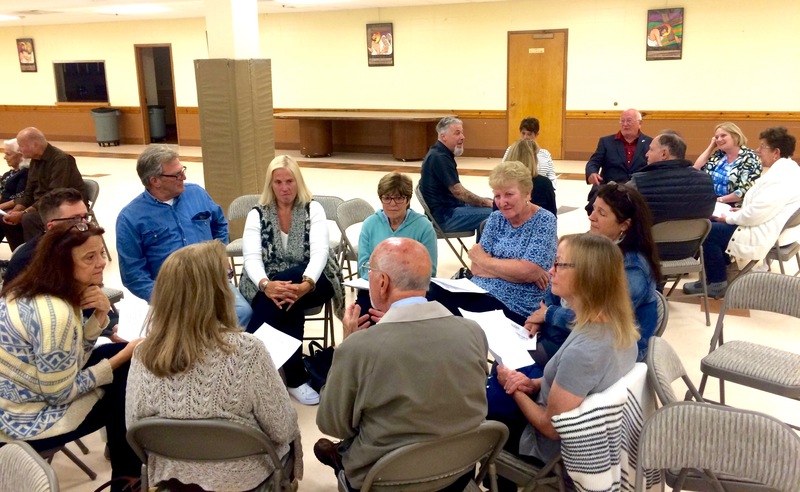 In 2016, congregations and non-profits involved in LI-CAN began to share stories about the growing opioid overdose crisis on Long Island. Nearly 400 people had died on Long Island in 2015. (That number escalated sharply, to more than 600 in 2017, before declining in 2018.) More and more families and congregations were being affected. Interfaith clergy discussed their frustrations at having no answers for families struggling with challenges related to opioid addiction. They shared their sense of fatigue and anger as they served at one funeral after another for young overdose victims. They began to work together to explore the issue. 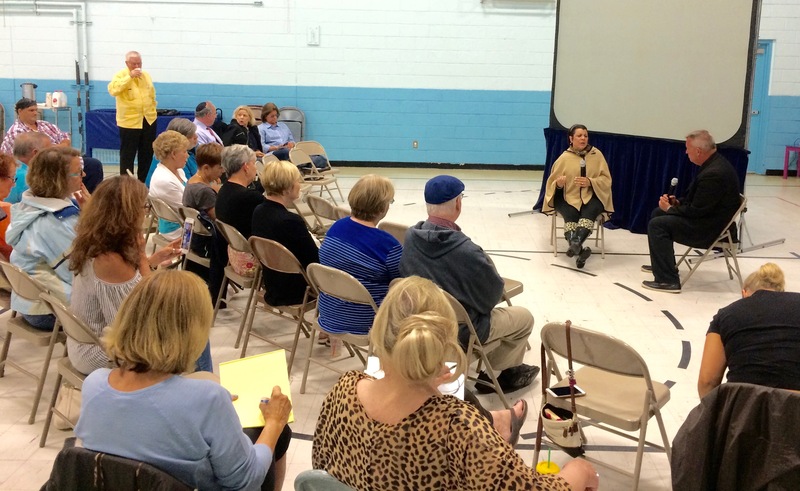 LI-CAN held a listening session at Good Shepherd Lutheran Church in Plainview to learn more. More than 50 community members came and related their experiences, including grieving parents who had lost children to overdoses. Key leaders and staff of LI-CAN followed up by meeting individually with parents, persons in recovery, educators, law enforcement leaders and others affected. One young woman we met, then in recovery after overcoming an opioid addiction that had begun in her mid teens, recounted her long and often lonely struggle. We asked if she had been part of a religious congregation and if that congregation had helped in any way. “I grew up in a church,” she told us. “But my church was the last place I would’ve gone for help.” We asked why. “They would have judged me,” she said. To learn how their congregations could provide practical help to people dealing with opioid-related challenges, and do so without stigma or judgment. To use our power to create changes necessary to reduce the number of overdose deaths in our communities. This two-fold mission has guided our work through several phases, beginning with our campaign's kickoff assembly in April 2017. 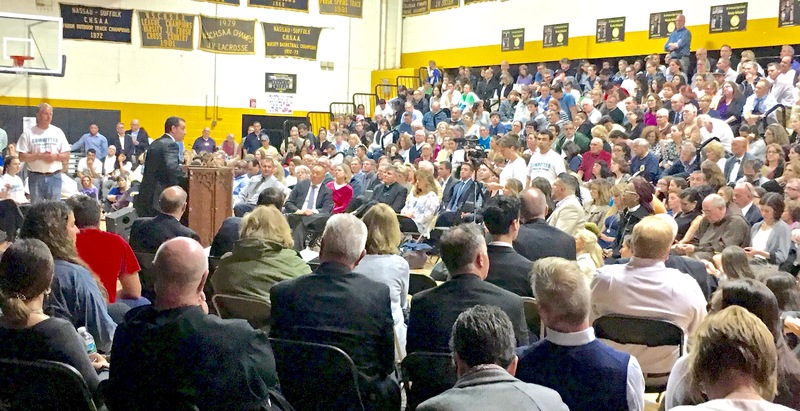 Nearly 1300 people from Suffolk and Nassau Counties gathered at St. Anthony’s High School in South Huntington on April 26, 2017 to launch LI-CAN’s campaign. More than 1000 people shared their stories related to opioids and addiction in small groups and one-to-one meetings in 2017.